The latest Volks USA Doll Party arrives in May. Applications for the limited items will be accepted from May 5th at 11:00am PST until May 8th at 11:00am PST. 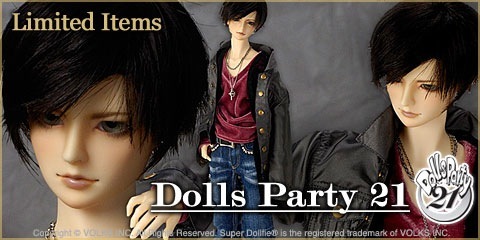 There wil be two new SD size dolls available from Tokyo Boys Story; SDGr Ryoya Konoe, and SD16 Ami Ayase. Konoe has the brand new SD Graffiti body. There are also two SD dolls, Sora and Toki. Starting at 11 AM PST, Volks USA is selling the February Collection of Doll fashions, shoes, and wigs. The items will be available on the website and at the Tenshi no Sumika in LA. There will be over 30 new wigs available along with 11 costumes and 3 pairs of shoes. Also included are Wig Lucky-Dip Grab Bags for SD and MSD, and brand new Wig Lucky-Dip Grab Bags fro SDC! Only one of each item per customer is allowed. The quantity of each item is limited. 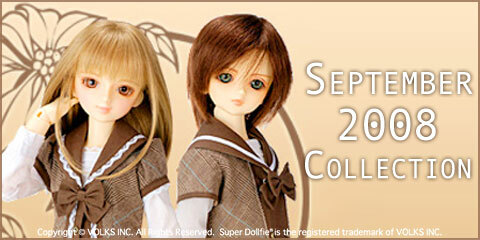 Volks USA will be selling the February Collection of Doll fashions, shoes, and wigs . Quoted from the site: “Please come back April 11th at 11:00am PST when everything will be available for order on our website volksusa.com! We will also have the items at Tenshi no Sumika in L.A.”. Only one of each item per customer is allowed. The quantity of each item is limited. Currently the site is under construction. A link will be provided soon. VolksUSA Doll Party starts today on the website and at the Los Angeles store at 11 AM PST. The Designers Collection of Volks fashion will be available to purchase. Quantities are limited. To see the outfits, go HERE. Applications for the Volks Dolpa Lottery will be accepted from: December 7th at 11:00am PST until December 10th at 11:00am PST. Detailed information can be found on the Volks USA website on how the lottery works and how to apply. The winners of the lottery will be able to purchase the Limited Volks dolls that they applied for. The Volks September 2008 Fashion collection will be sold on the Volks USA website starting 11AM PST. The items will also be available at the Tenshi no Sumika store in Los Angeles, CA. 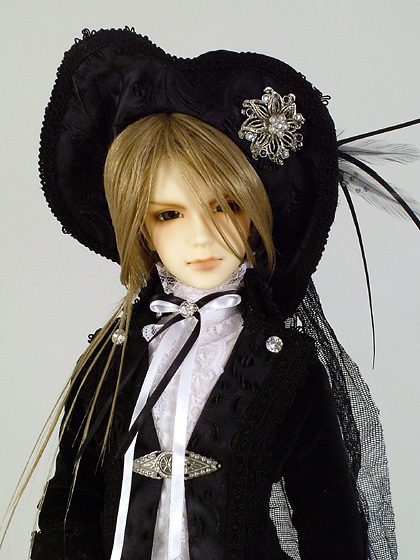 In addition, the website posted a notice for sale of limited Dolpa dolls in December. The Lottery for purchase will be held starting December 7th until the 10th. Today the Volks USA Dolpa site is officially open. The lottery winners will be announced today for the One-off dolls. Lottery applications will now be taken for the Limited SD and Special Event items. Entries will only be taken until midnight November 2nd. The winners will be announced November 10th. Payment for all items must be completed by November 17th.